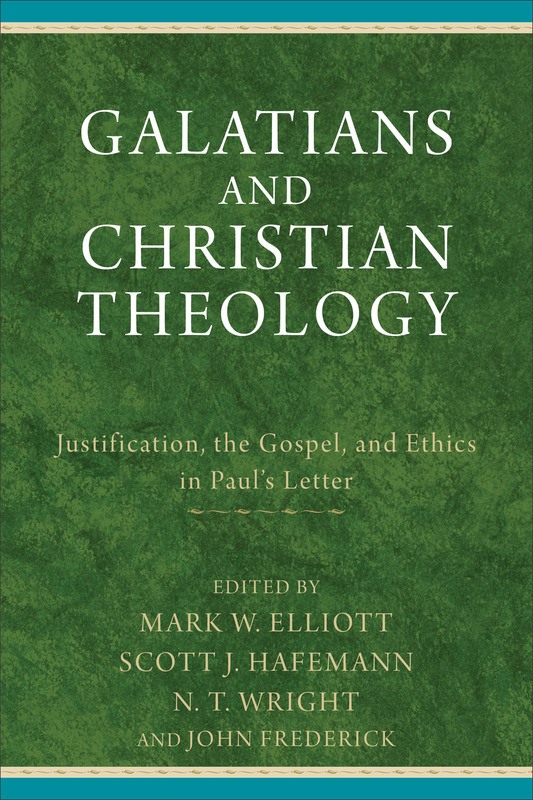 Galatians and Christian Theology is the latest volume in a series of proceedings from the St. Andrews (Scotland) conference on Scripture and Christian theology (Baker, 2014; ed. M Elliott, SJ Hafemann, NT Wright, and J Frederick). At 23 chapters (and just about that many contributors! ), this book really gives you a sense of the richness and diversity of the ongoing study of Galatians. I won’t take the time to comment on each essay, but allow me to make a handful of observations. 1. Early Christianity and Early Judaism – there is still much work to do in better understanding “Paul the Pharisee” and his concern with the Jesus-followers, as well as the grounds on which “Paul the Apostle” was critical of Jewish works of the law. This is not just of significance for historical curiosity, but to understand the nature of Christianity itself, its relationship to its parent religion, and what this research might contribute to Jewish-Christian dialogue today. I especially appreciated and recommend Matthew Novenson’s essay “Paul’s Former Occupation in Ioudaismos” (ch. 2). 2. Luther! – We can’t stop talking about Luther! And for good reason. He was certainly a gifted theologian, but his reading of Galatians (despite the many criticisms it has received in recent decades) has struck a nerve that is still felt today. We are not done talking about Luther – whether to praise him or put him in his place -, but several essays in this volume remind me that we need to be sure to read him carefully and avoid caricatures. 3. Reception – Along similar lines, many essays in this book take seriously how Galatians has been read in time and space. We cannot expect to mentally jump into a time machine and go back 2000 years to read Galatians. The journey backwards is more like a pilgrimage where we pass Stendahl and Barth and Calvin and Ambrosiaster and so forth on the way to Paul. It does us no good to think we can “start fresh” in our readings as if what came in between Paul and today never happened or hasn’t affected how we read. Better to acknowledge it, learn from it, and bring all these readers into dialogue. 5. Preach it! – One might expect proceedings on Galatians from an academic conference of professional scholars to be objective, calculated, even sterile. But it is so much fun to read contributors whose essays read almost like sermons! Beverly Gaventa, for example, gives a stirring and passionate reading of Galatians in view of the “Singularity of the Gospel” (ch. 11). That is a testimony to how “theological interpretation of Scripture” has taken off and allowed us to bring our interests and passions into the academic world (imagine that!). 6. Apocalyptic? – Lastly, if there is any one major debate in Pauline studies right now, it is how (or even whether) we should talk about Paul as “apocalyptic.” Some contributors in this book would be identified with the “apocalyptic” crowd (e.g., Gaventa, Barclay). The trouble many scholars have with this approach is that it is ambiguous how the word “apocalyptic” is used, and what it means for Paul. Thankfully, in this book, Richard Hays tackles this issue head-on in “Apocalyptic Poiesis in Galatians: Paternity, Passion, and Participation.” In my opinion, this will probably become the most cited essay in the book. I will have more to say about why in another post. So, if you are interested in Galatians, or just want to stay current on important conversations regarding the apostle Paul, pick this book up. Mercifully, most of the essays were kept short as a reflection of the brief papers that were given at the conference. Reblogged this on Imagine with Scripture.